We mourn the passing of people’s historian and activist Howard Zinn (1922-2010). He suffered a heart attack on Wednesday in Santa Monica, CA. From his early involvement in the civil rights movement as a teacher at Spellman College, to his opposition to the Vietnam War, to his groundbreaking writings on American history, Zinn was always an unflinching champion of bottom-up democracy and resistance to injustice. His most well-known book, A People’s History of the United States, has sold more than 2 million copies and changed the way many view American history. Written from the perspective of workers, minorities, women, soldiers, and activists, it tells the story of US history with a view to the everyday masses involved in it—not the elites, heroes and “leaders” which dominate standard history textbooks. Zinn personified the spirit of courage, integrity, empathy and social change. He influenced the way a whole generation looks at its world. The Winter 2010 issue of Haytoug has been released. This long anticipated issue presents a critical look into the uncertain juncture the Armenian nation has come to after nearly two decades of independence and statehood. This juncture, the proposed Armenia-Turkey protocols, threatens to sacrifice the rights, dignity and interests of the Armenian people on the altar of political and economic expediency. The issue investigates the vested interests behind the dramatic rapprochement between Armenia and Turkey and how the the growing disparity between the rich and powerful in the homeland has jeopardized countless years of relentless work in regaining the Armenian nation’s birthrights and legally designated homelands. Though in this chaos and difficult attempts at democracy, there are many heartwarming stories of hope. 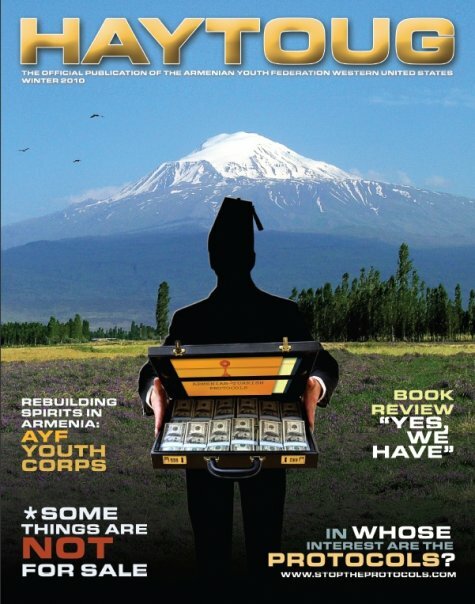 In this issue, readers will meet Armenian-Americans strengthening their communities and working toward a better Armenia and members of the AYF’s Youth Corp who traveled to the Homeland each summer to set-up a day camp for underprivileged children. This Haytoug also includes inspiring stories from the Artsakh liberation struggle. It also brings to readers a passionate call for repatriation, the urgent need for all Armenians to unite and do the work required to ensure the sanctity of our national and historical interests, and to declare that our nation, collective homeland, and history are not for sale. AYF Youth Corps is a six week program with four weeks of volunteering with kids 9-16 years old and one week of exciting touring. If you are interested in a similar program with a shorter duration, please visit the AYF Canada Youth Corps program. If you are interested in a summer internship in Yerevan, working with a non-governmental organization, please visit our sister program, the AYF Eastern Region Internship. Before You Apply, see our FAQs. If you are not a citizen, please describe your residency status in the United States. Where did you attend school last? Please list the highschool, college or university you last attended. Please also include the degree you received from said school. List at least two community activities/organizations you have participated in and describe your involvement. Please provide at least two references. They may be personal, professional and/or academic references but may not be family. In 250 words or less, please respond below to the following questions. You can type your response below or upload a document file. Uploading a resume is optional, but recommended. Do you have any medical conditions, allergies and/or are taking medication? Please explain. Please tell us how else you know of the AYF Youth Corps program? The program is financed, in part, through year-round fundraising. When accepted into the program, you will be encouraged to fundraise with the group in order to build ties with your co-participants and to raise money for the program. Kani Xulam, the executive director of the American Kurdish Information Network, speaks at an evening of remembrance for slain Turkish Armenian journalist Hrant Dink organized in Glendale, CA by the United Human Rights Council. In his remarks, Xulam discussed human rights violations in Turkey and gave voice to the countless activists there fighting against injustice. He painted a picture of the plight suffered by Kurds in modern Turkey, highlighting Turkish human rights violations against Kurds and Armenians. 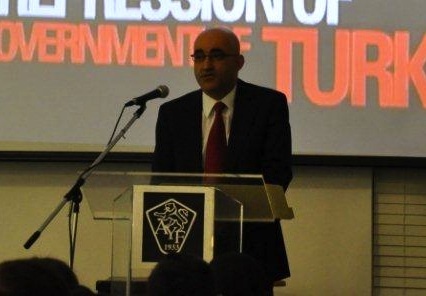 The event, titled the “Opposite of Silence”, aimed to shed light on the difficult struggle for peace and justice being waged in Turkey by Kurds, Turks and Armenians. We write to you as Armenian youth extremely concerned with your proposed plan to privatize the Glendale Health Center (GHC). As a primary care facility which serves over 3,500 patientsmost of whom are uninsured seniors and first-generation immigrantsGHC provides critical medical care to those in our community who need it the most. The majority of the clinics patients are of Armenian descent and rely heavily on the culturally competent care offered by the diverse, multi-lingual staff. Many of these patients travel from far distances to come to the center so they can be treated in an environment where they are comfortable and understood. Privatization poses the risk of severing these long-established relationships patients have developed with the centers doctors, nurses and caretakers. Handing over GHC to a private agency will likely disrupt the important culturally appropriate care patients so desperately rely upon. The proposed privatization also threatens to erect excessive barriers to access, accountability and efficiency. A private agency will not be able to service the over 80% of uninsured patients which frequent the center. Higher costs, restriction to access, and compounded obstacles to receiving care are bound to result should the center be privatized. As an organization dedicated to social justice and public service, we find the proposal to privatize Glendale Health Center detrimental to the needs of our community. At a time when people need quality and affordable healthcare more than ever, cutting off such important services is something we firmly stand against. We ask you to reconsider the proposal to privatize the Glendale Health Center and protect the health services for those in our community who need it the most. Featured in the Spring 2008 issue of Haytoug, here is a clip of the Armenian-Argentinian band Los Armenios performing their song “Republica Diaspora” live. Enjoy! For more info, visit their website at www.losarmenios.com. The Armenian National Committee of America Today announced it is going on all cylinders to push for a full House and Senate vote on the Armenian Genocide Resolution (H.Res.252 / S.Res.316). “Our community’s ability to take advantage of these opportunities will depend on you – and Armenian Americans like you around the country,” Hamparian said. In the video below, Hamparian explains why now is the time to ramp up grassroots activism to secure passage of the Armenian Genocide resolution and attain real progress in the Armenian Cause. Watch the video, visit http://www.anca.org to take action, then encourage your friends, family and community groups to do the same. Want to take your grassroots activism to the next level? Email anca@anca.org. MONTEBELLO–The Vahan Cardashian Chapter of the Armenian Youth Federation in Montebello announced on Thursday that it will begin offering its annual hands on traditional Armenian cooking classes starting February 3. 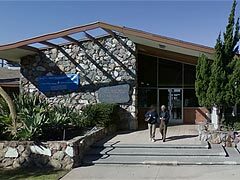 The classes will be open to the public and will take place every first Wednesday of the month, for six months, at Bagramian Hall of the Holy Cross Church (900 W Lincoln Ave in Montebello). Volunteers from the community will give cooking lessons on their specialty dishes. Class attendees will receive copies of the Armenian recipes and one-on-one training on how to prepare them. The chapter offers these classes every year as a service to the community. The cost of a three lesson package is $25 dollars. Individuals interested in signing up or inquiring further can email vahan.cardashian@ayfwest.org. The chapter will also be hosting a champagne brunch on Sunday, January 24, at 10pm in the Montebello Armenian Center (420 W. Washington Blvd., Montebello CA). Brunch attendees will be given a glimpse of the chapters upcoming activities for the year and will be able to sign up to the monthly cooking classes at a discounted rate, receiving a free fourth class with their purchase of a three class package. The Glendale Health Center (GHC) is one of LA County’s most successful primary care clinics, with over 3,500 patients and 11,000 patient visits each year. The vast majority of these patients are uninsured and medically-underserved Armenian and Spanish-speaking elderly. A proposal to hand over the Center to a private agency is currently being considered by the LA County Board of Supervisors. Such a privatization threatens to drive up costs and leave many of the patients without the adequate, affordable care they need. Patients will also likely be relocated to facilities determined by the private health care provider and left without the culturally and linguistically competent care they depend on. Arbi Derghokasian, an intermediate clerk at GHC, spoke to Glendale City Council members this past September, pointing out the dangers that privatization posed to the Health Center’s clients. Call L.A. County Supervisor Antonovich at (213) 974-5555 and let him know that you oppose privatizing Glendale Health Center; that our community depends on the Glendale Health Center as a medical home for quality care! We Armenians are born humanitarians. We know that each human life counts. We witnessed death and destruction in the 1988 Earthquake. We saw villages razed and thousands uprooted in Artsakh. We continue to bear the scars of the Genocide, displaced from our homeland and crippled by the murder of our race and the desecration of our history. But in our moments of despair, activists, humanitarians and relief organizations came to our aid. They helped us survive calamity. Over the years, we too came to the aid of others, lobbying congress to support the cause of Cyprus and to end the Genocide in Darfur. We joined in the movement to expose child abduction in Uganda and raised money for the victims of Katrina. Locally, we rallied our community to donate blood, collected food for the homeless, and spoke out against worker exploitation in our community. 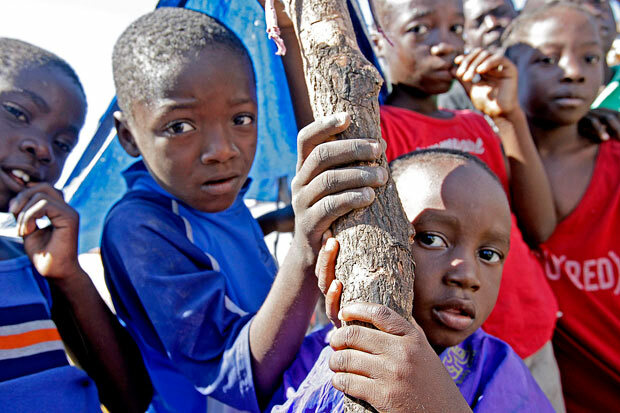 As Armenians, as humanitarians, it’s time again to respond, to help the victims and survivors of the Haiti disaster. This is our moment. Fundraise and Donate, then send the AYF your message about why everyone should contribute to the fundraising. Record your messages on your webcams or on your phones and e-mail us (ayf@ayfwest.org) so we can share your message with other Armenians around the world. text “Haiti” to 90999 on your mobile phone.